During the Second World War, approximately 144 intermediate-sized tugs were build between 1941-1946 for the Ministry of War Transport. They were given 'Empire' names, as was the practice for war-built merchant ships in Britain. EMPIRE RAYMOND was completed on 30 April 1946 by Alexander Hall & Co. Ltd, Aberdeen (who also built her engines). CERVIA's type was based on the design of the FOREMOST of 1928. She was handed over to Townsend Bros Ferries for onward delivery. 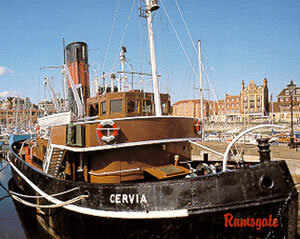 In December 1946, EMPIRE RAYMOND was sold to William Watkins Ltd, a London tug company, and renamed CERVIA. For two years, she was employed on towing duties between ports on both sides of the English Channel before moving to be based at Gravesend. On 1 February 1950, an amalgamation of towing companies put her ownership under Ship Towage (London) Ltd but she retained her Watkins colours. On 26 October 1954, she was assisting with the undocking of the P. & O. liner ARCADIA, stern first, when, to avoid collison with another vessel, ARCADIA put her engines ahead and pulled the CERVIA sideways so that the tug capsized and sank, with the loss of her master and four crew. She was raised two days later and taken to Ramsgate (where Watkins had a repair yard) for a refit. On 27 January 1969, further rationalisation of companies made her part of London Tugs Ltd. 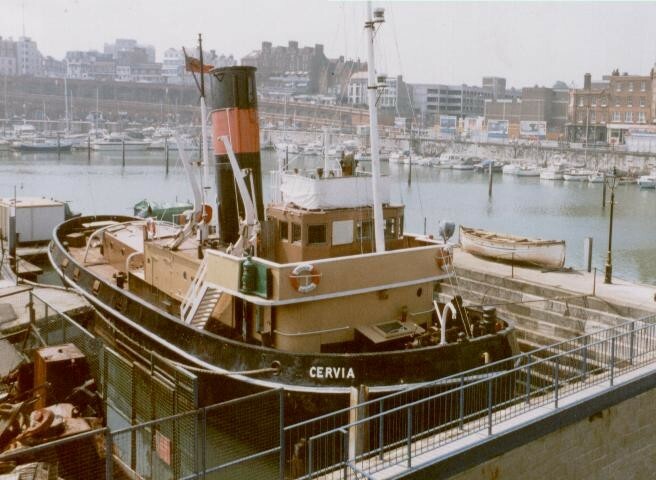 In 1971, CERVIA was laid up at Sheerness and was sold in the following year, ostensibly for preservation under the aegis of the Medway Maritime Trust. However, after a refit, she returned to towing service in 1974, working in the North Sea and elsewhere on coastal towage. 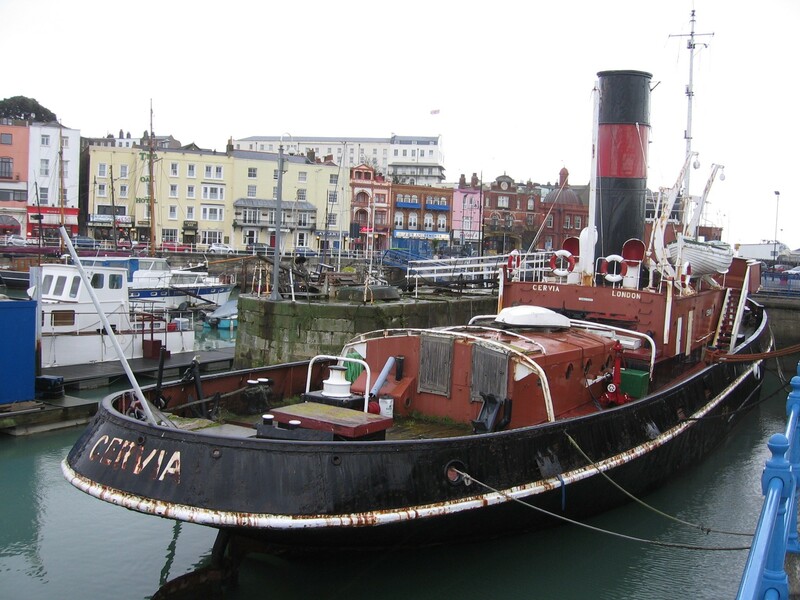 A new company, International Towing Ltd, was formed and owned several tugs based at Ramsgate. 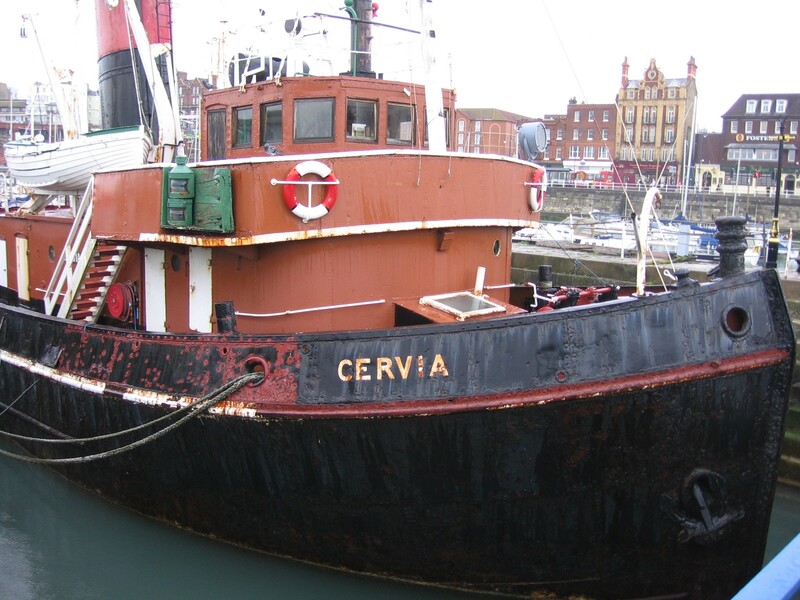 She remained in service with that company until 1983, her final duties being as a port tug for the new cross-channel ferry service at Ramsgate, assisting in adverse weather conditions. 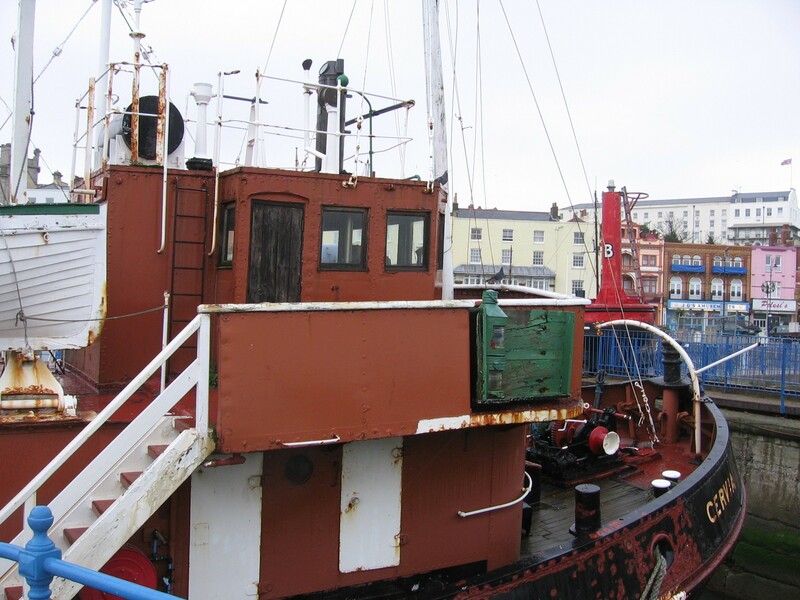 She was laid up at Ramsgate and, in July 1985, was loaned to Ramsgate Maritime Museum, run by the East Kent Maritime Trust. She was refitted and repainted in the Watkins colours, berthed in Smeaton's historic dry dock, and opened to the public. In the mid-1990s, her engine was restored to full working order. 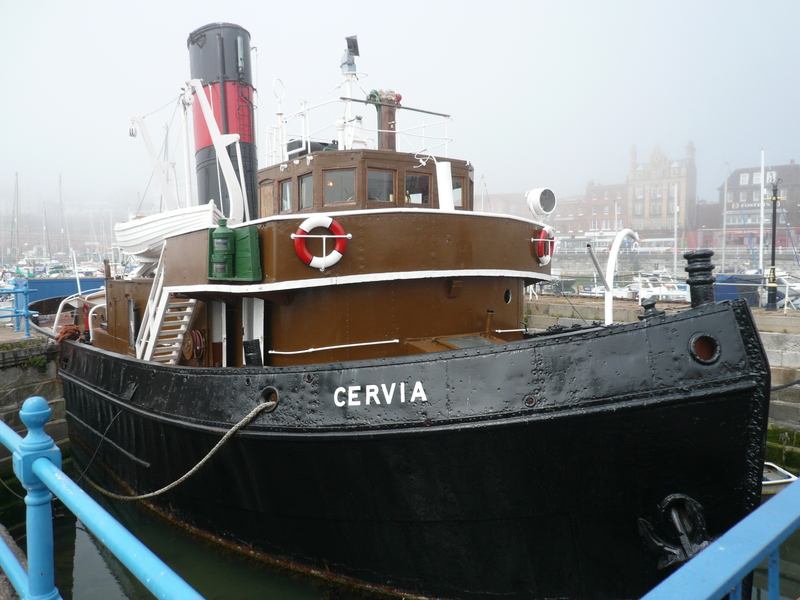 Refurbishment has commenced on CERVIA with ongoing repair. 1985 Laid up in Ramsgate and loaned to Ramsgate Maritime Museum, run by the East Kent Maritime Trust. 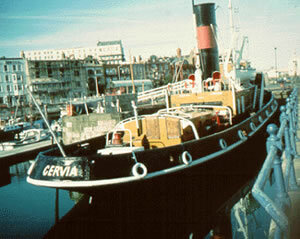 She was refitted and repainted in the Watkins colours, berthed in Smeaton's historic dry dock and opened to the public.